This April Asian Art Platform presents Déjà vu, a solo exhibition featuring the work of Chinese artist Tao Xian. 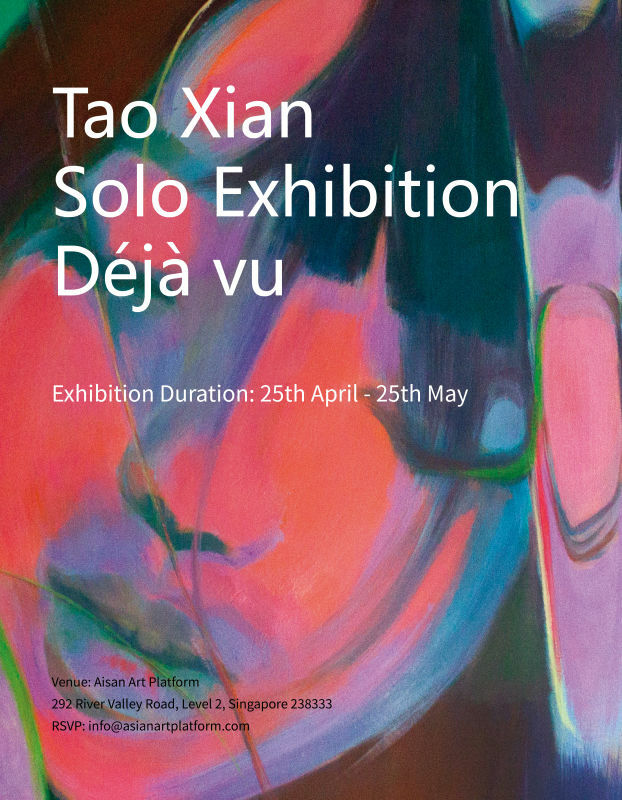 Running from 25th April till 25th May, Tao Xian's exhibition unveils a series of paintings which created in between 2017 to 2019. Tao Xian expresses her artistic identities throguh painting, photography and print making. She manipulates found photographs using digital techniques before transferring to cotton or linen with oil. Particularly, she is interested in exlporing the relationship between the advanced technology and the traditional painting, and how the technology influences on the artist's artistic directions or the audience's understanding of contemporary painting. Her works feel like they are slwoly fading away, yet stay strong in your memory; Her vigorous colours contrasting her euphemistic figures in a portamento style, which diffuses a sense of eatern beauty. "Like liquid passages that transform themselves from the representational to the abstract. Images that start out as photographs and then, through digital technology, are bent, shaped, stretched, distorted, multiplied... Palettes are explored."